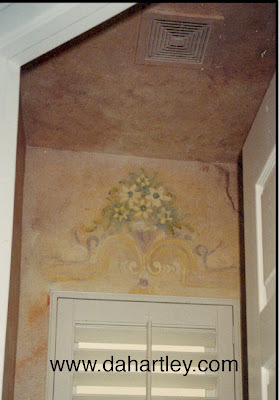 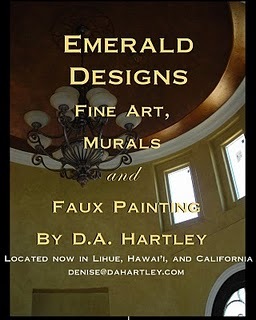 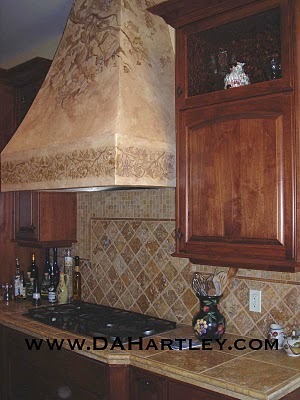 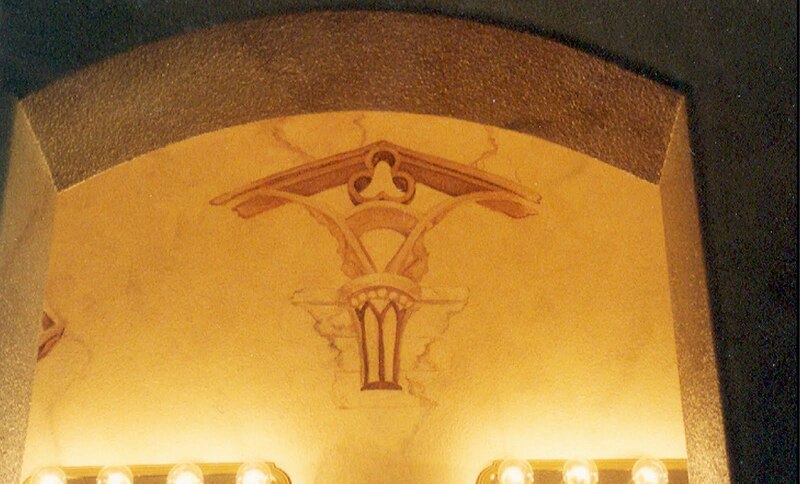 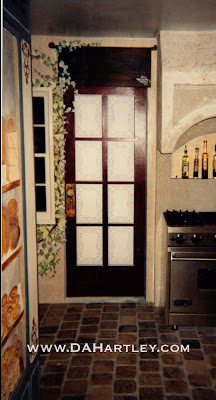 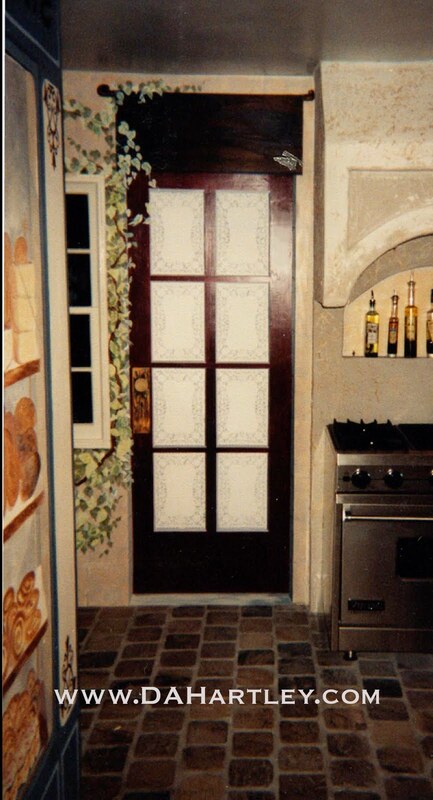 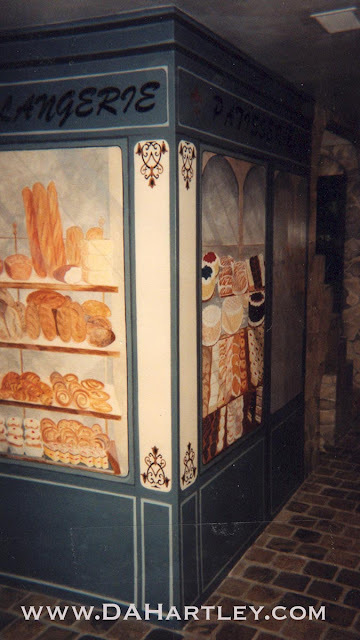 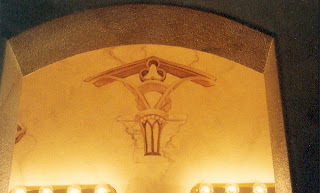 TROMPE L'OEIL, FAUX FINISHES, NICHES, CHILDREN'S MURLS. 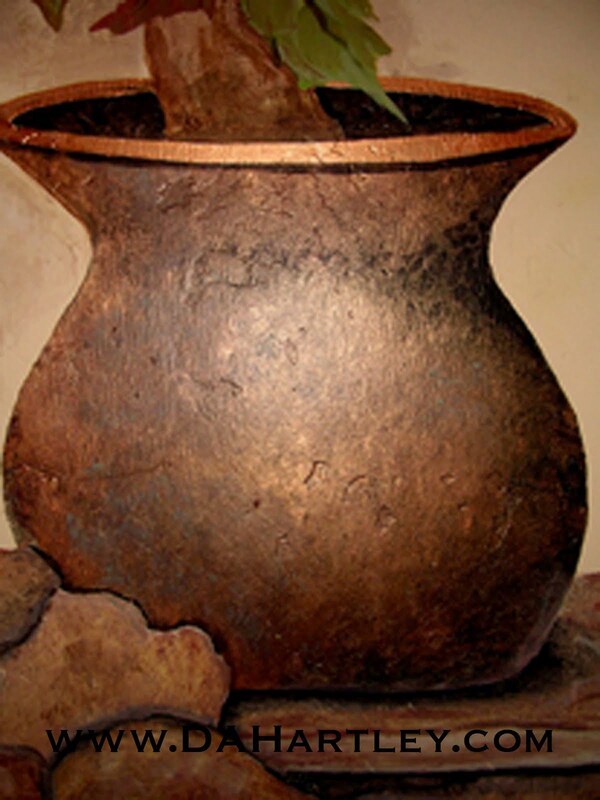 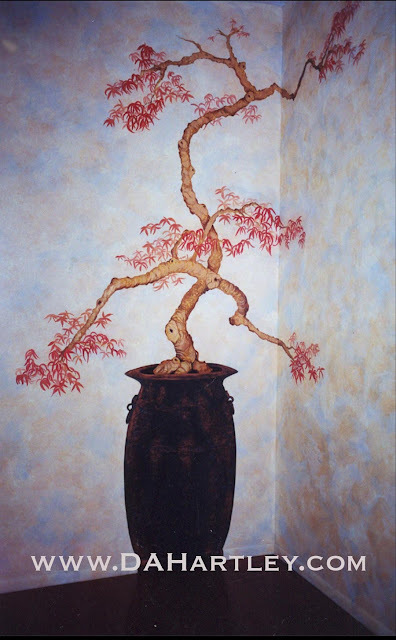 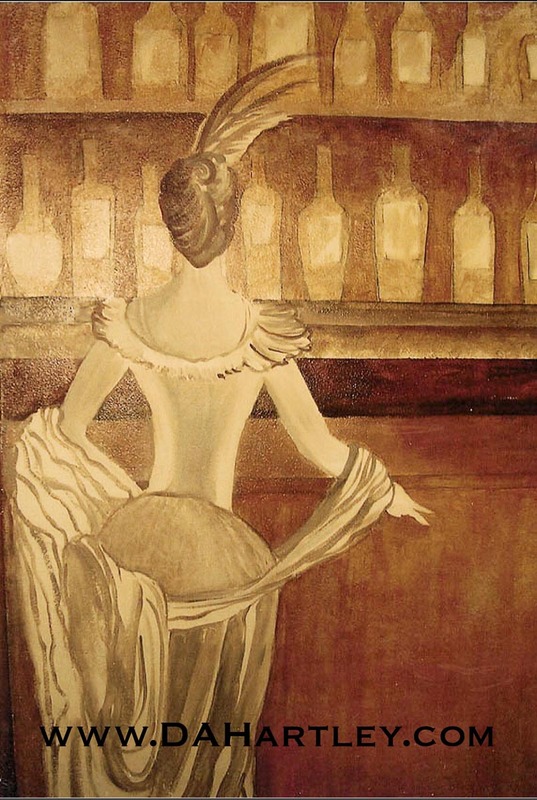 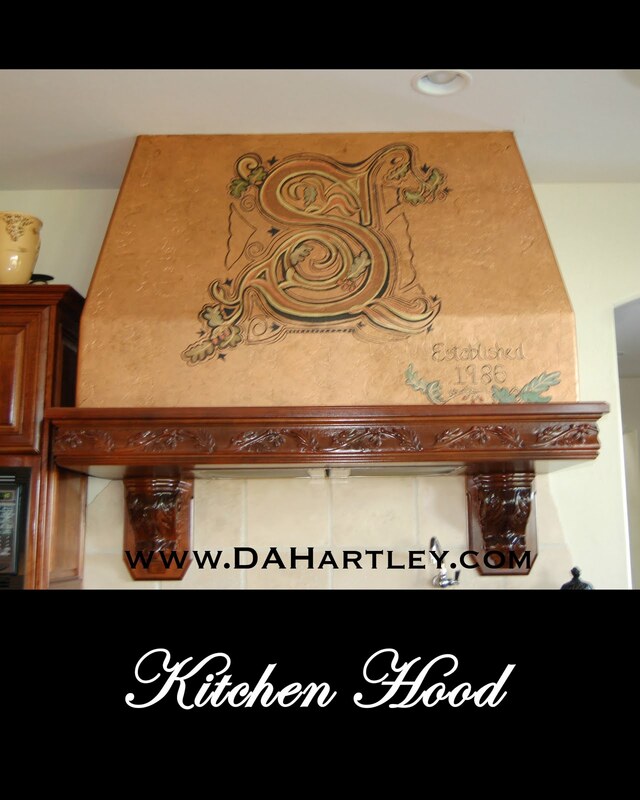 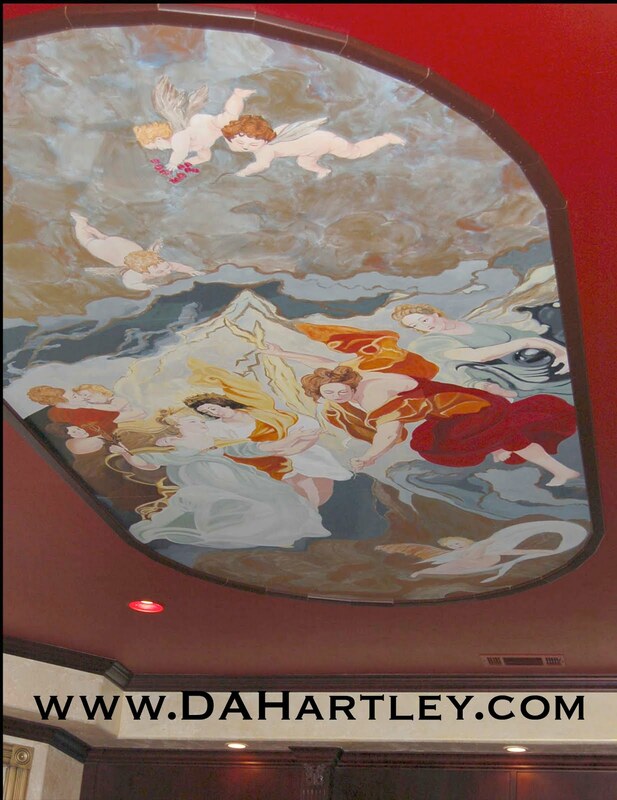 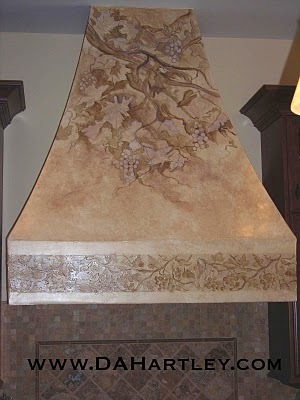 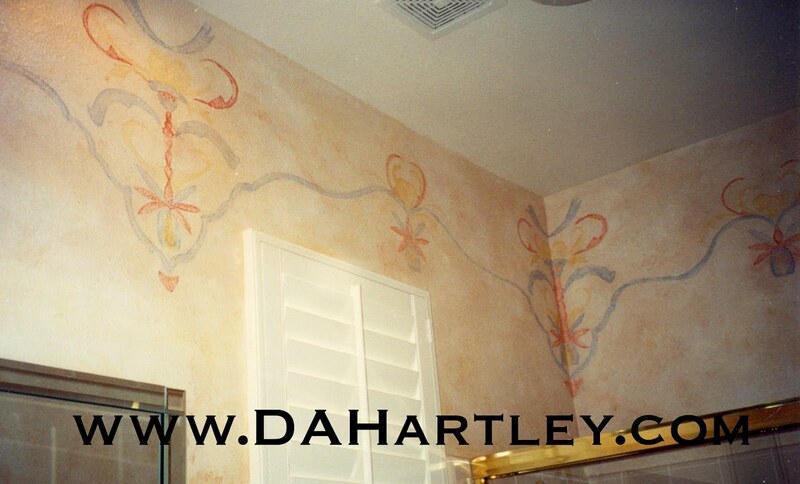 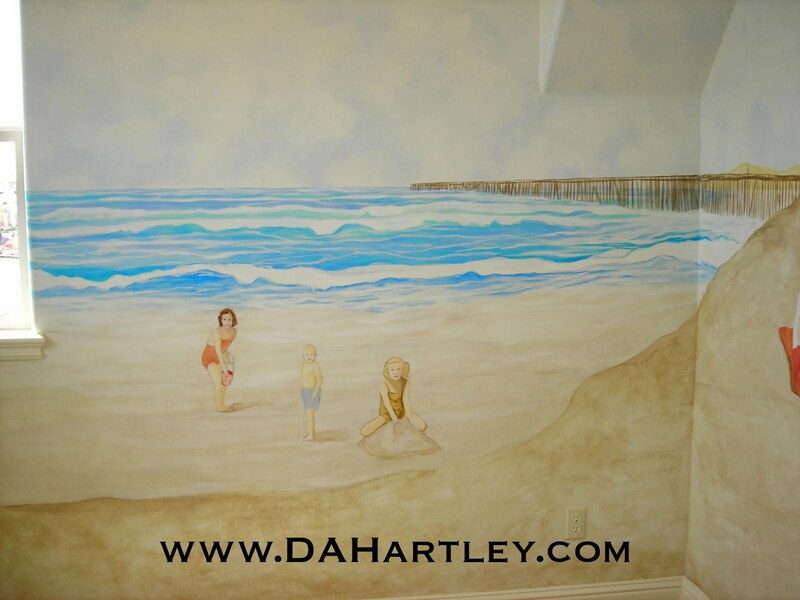 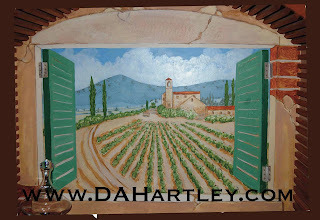 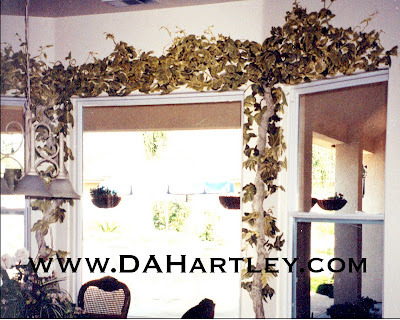 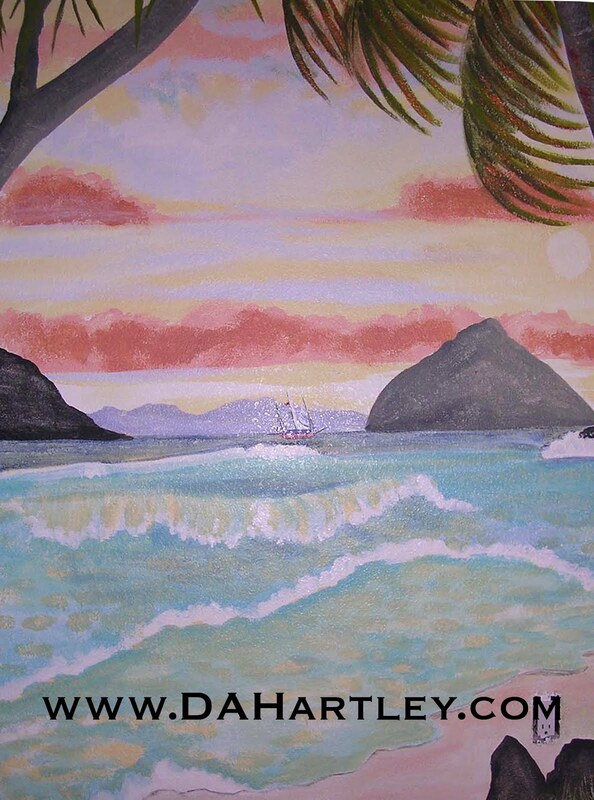 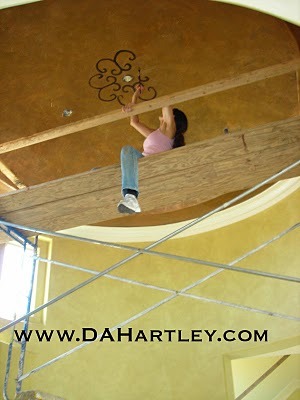 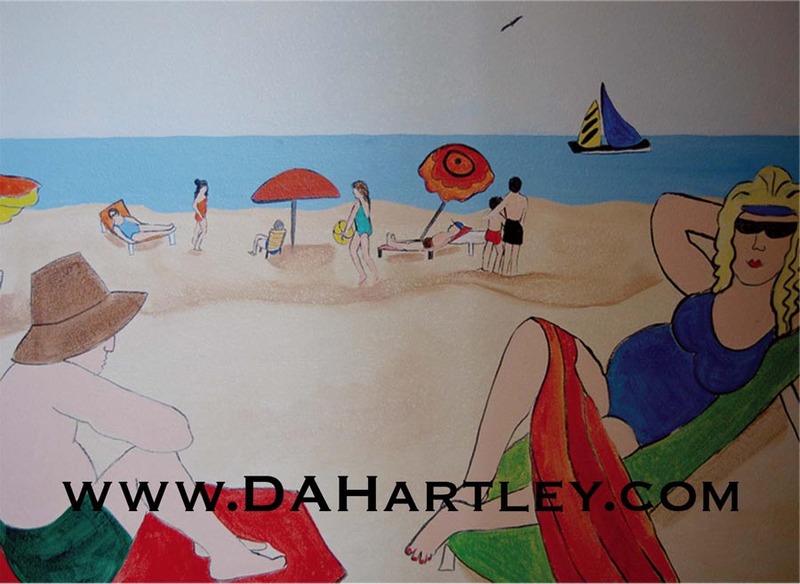 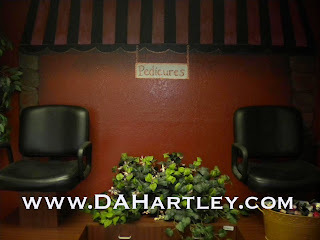 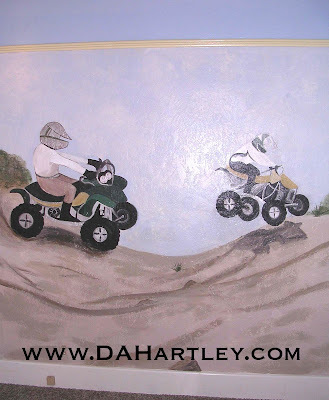 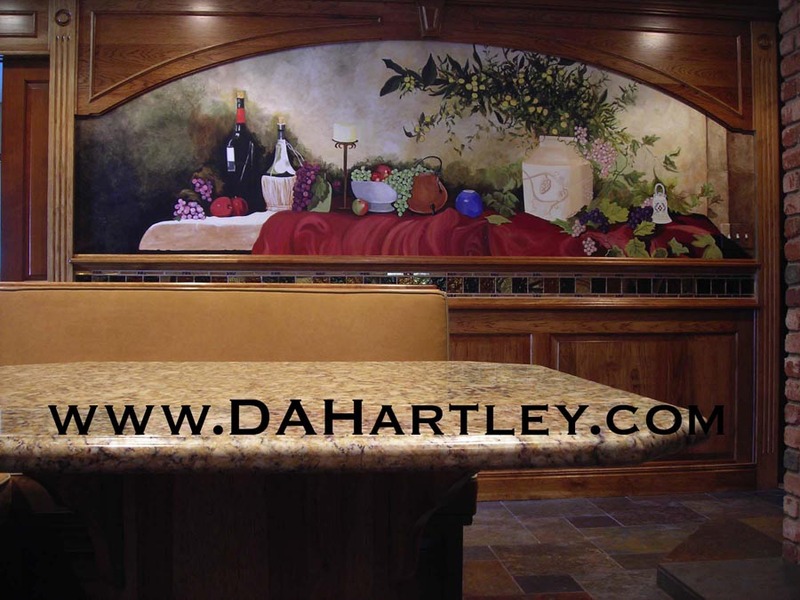 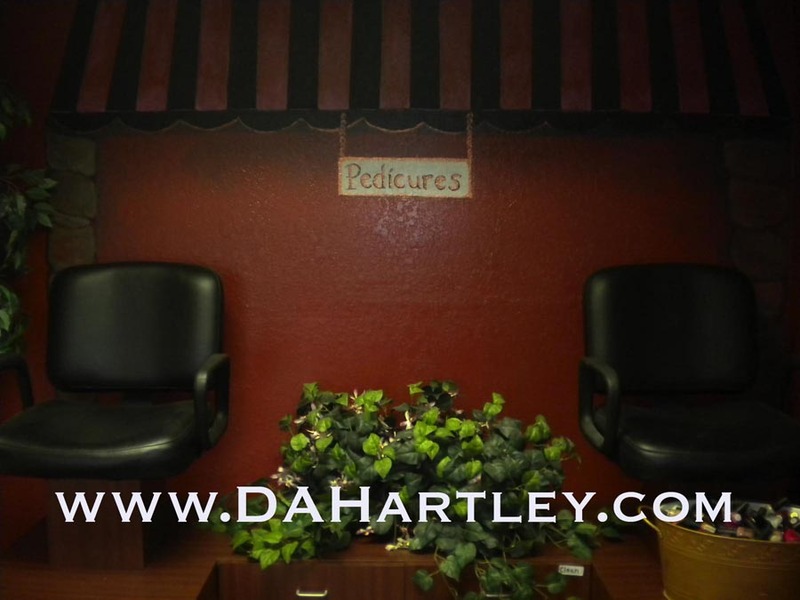 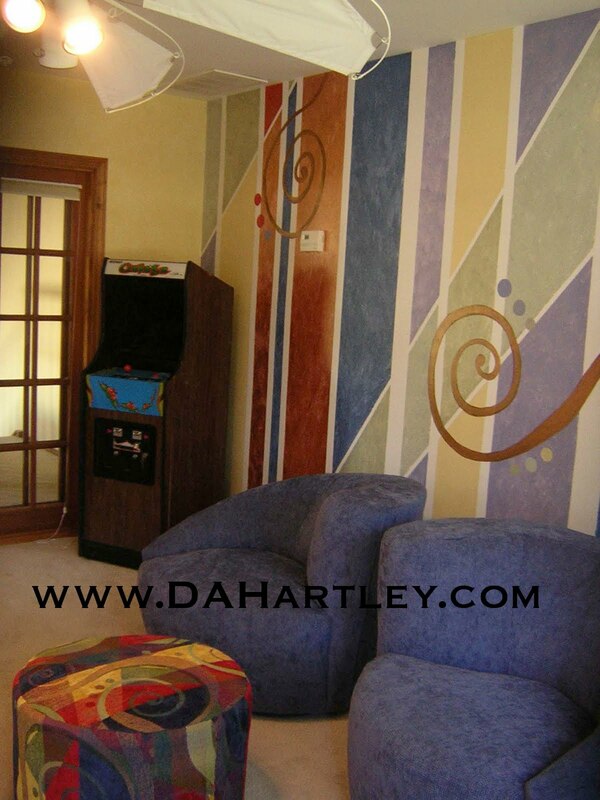 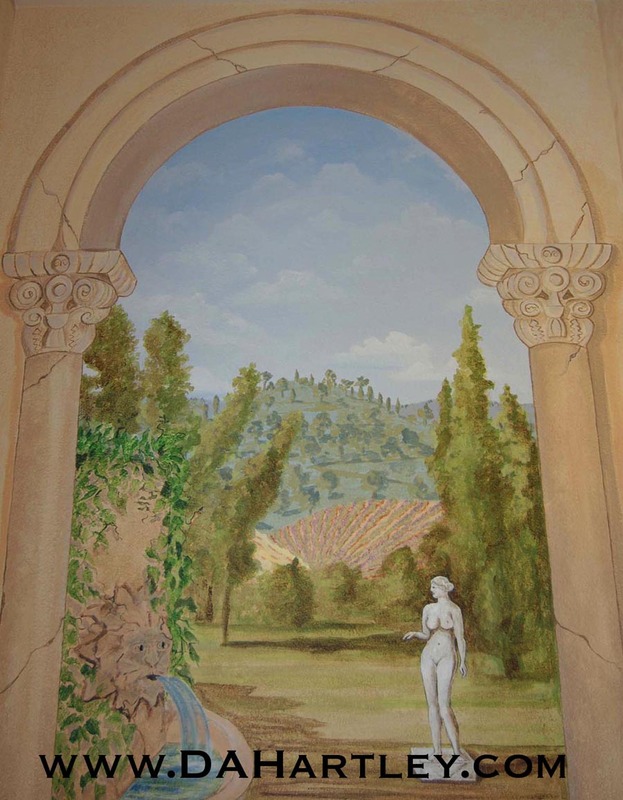 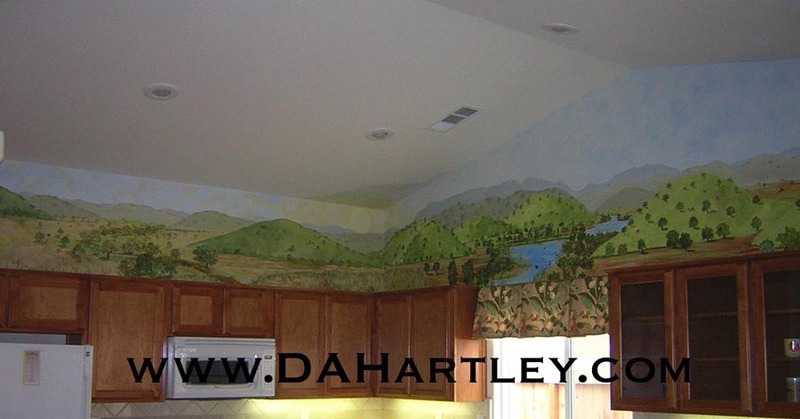 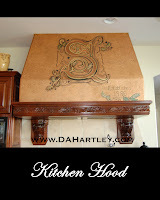 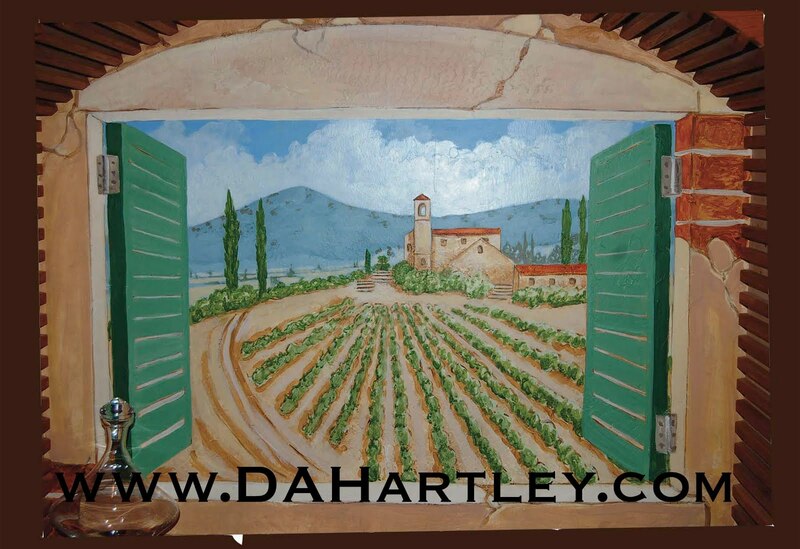 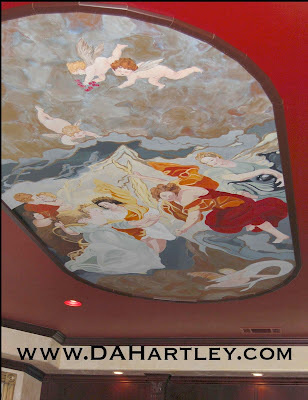 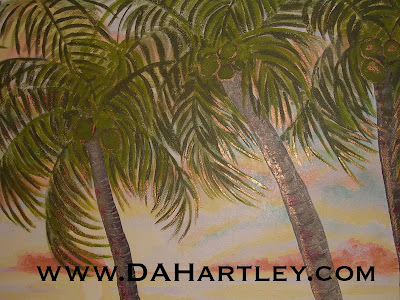 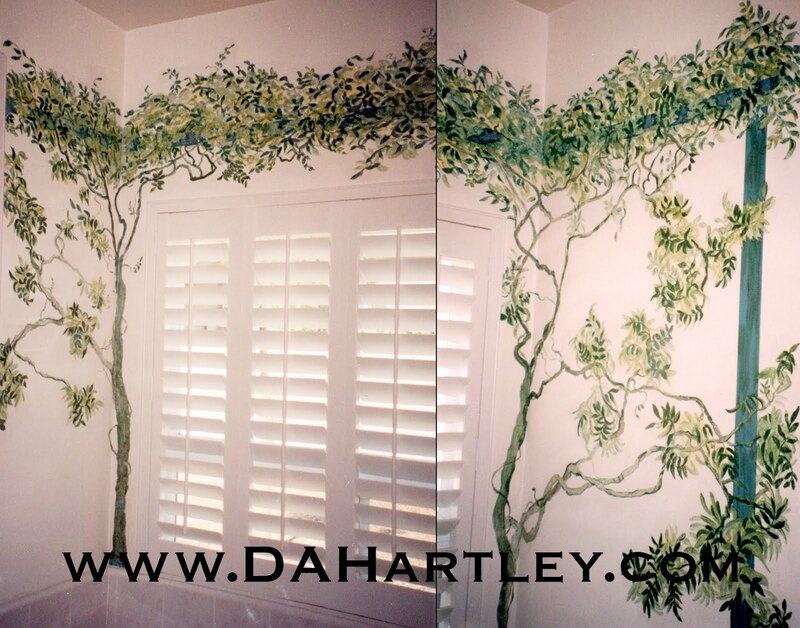 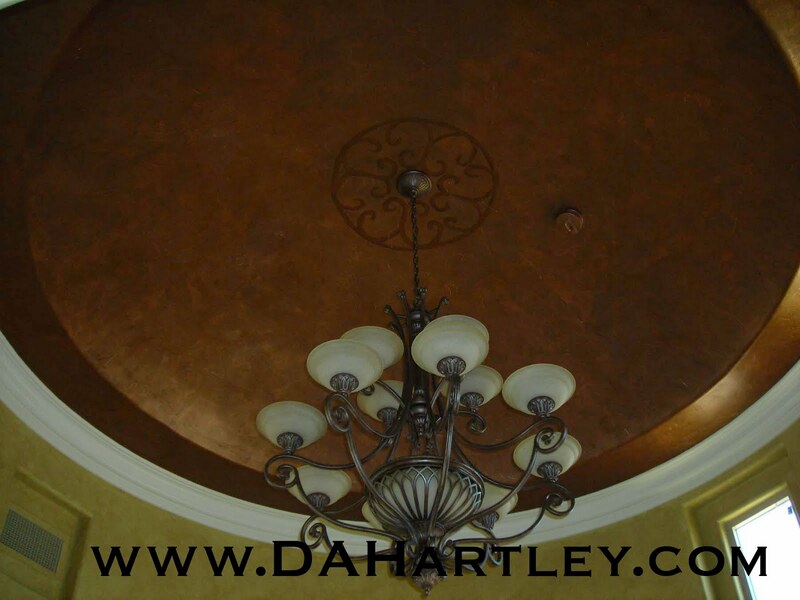 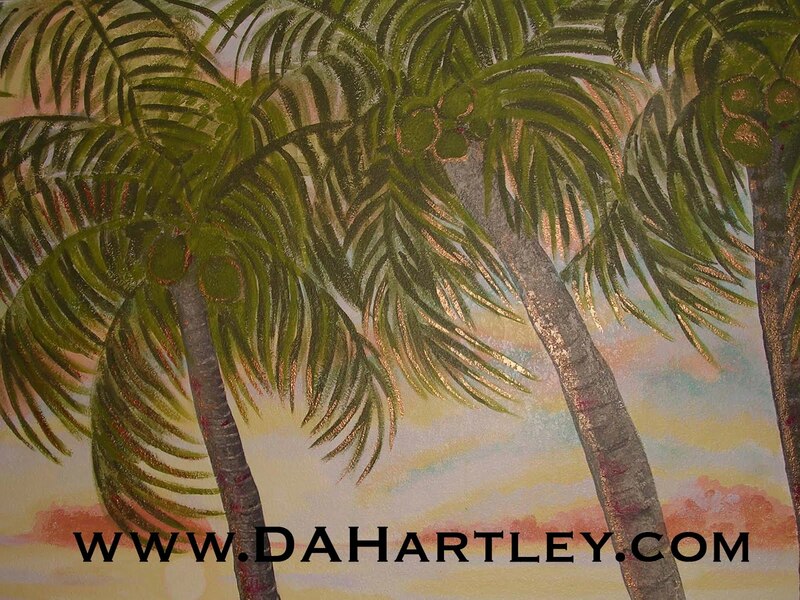 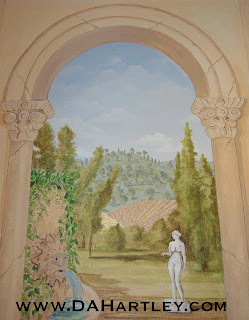 We specialize in custom, hand-painted murals for your home or business. 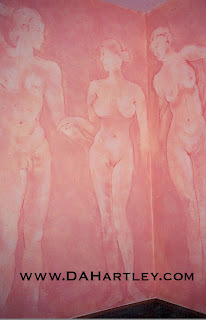 and have a Master's Degree in Fine Art. 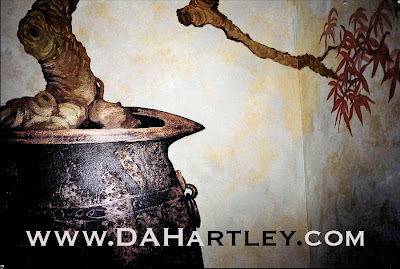 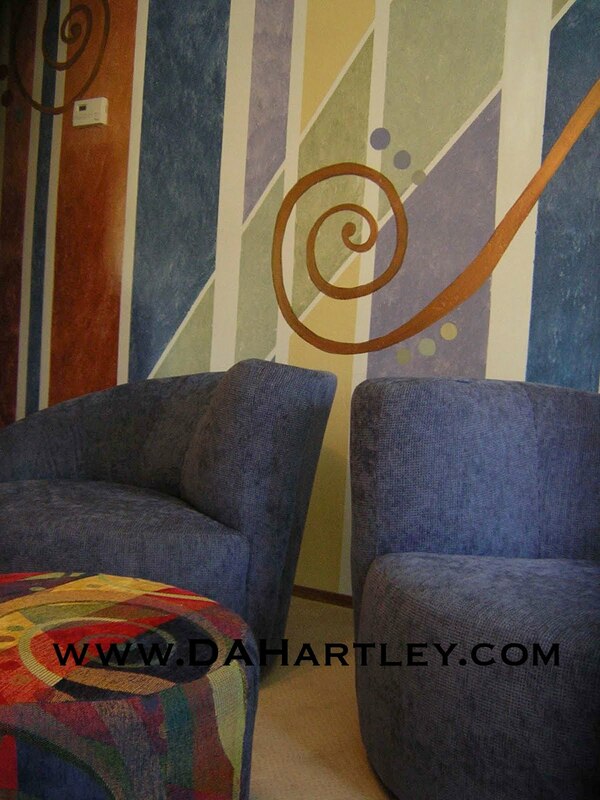 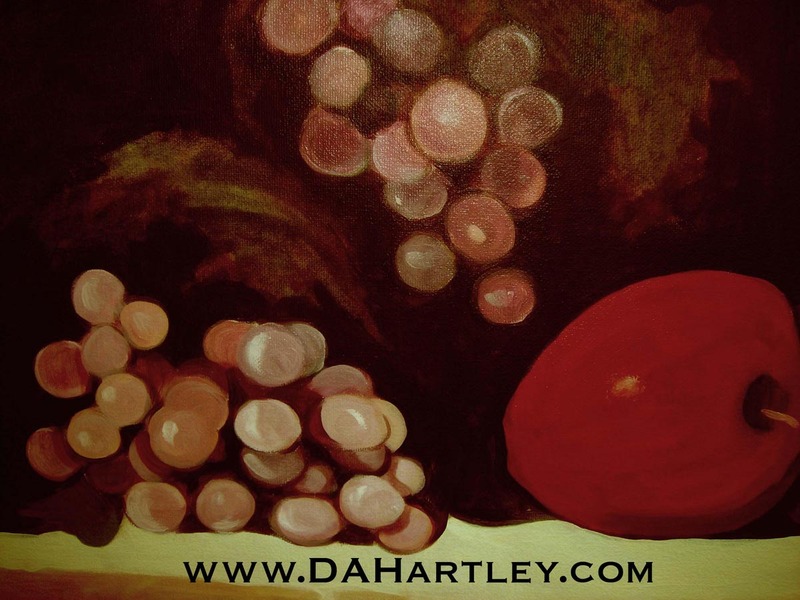 This mural was painted in my studio, then later installed. 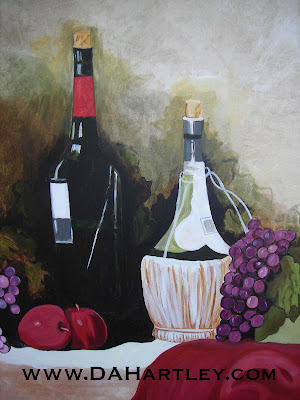 It is oil on canvas, 4' x 17'. 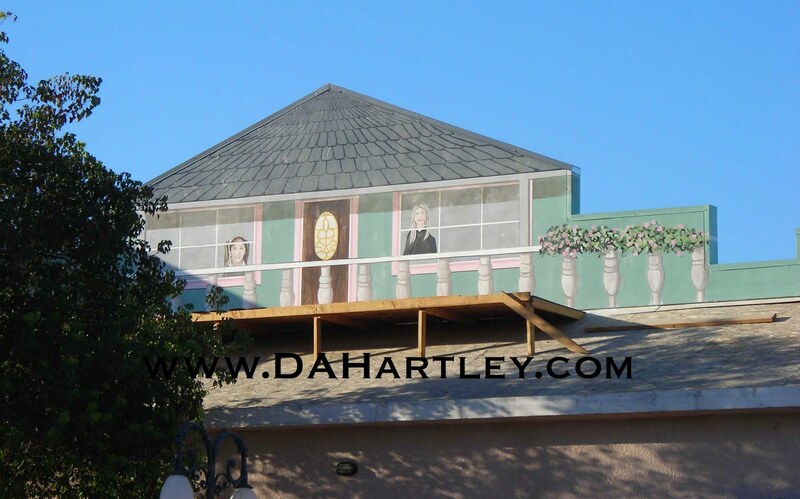 Visalia, California. 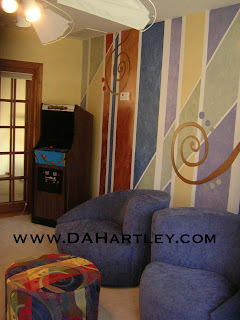 I painted this mural in my studio, oil on wood, 12' x 4'. 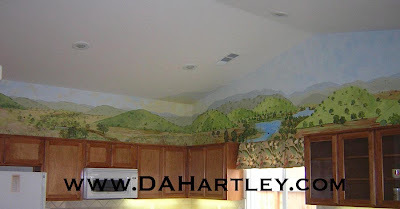 This mural was later installed in the home. 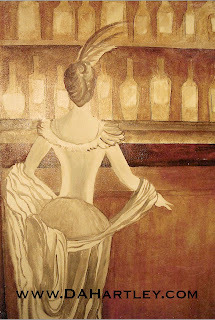 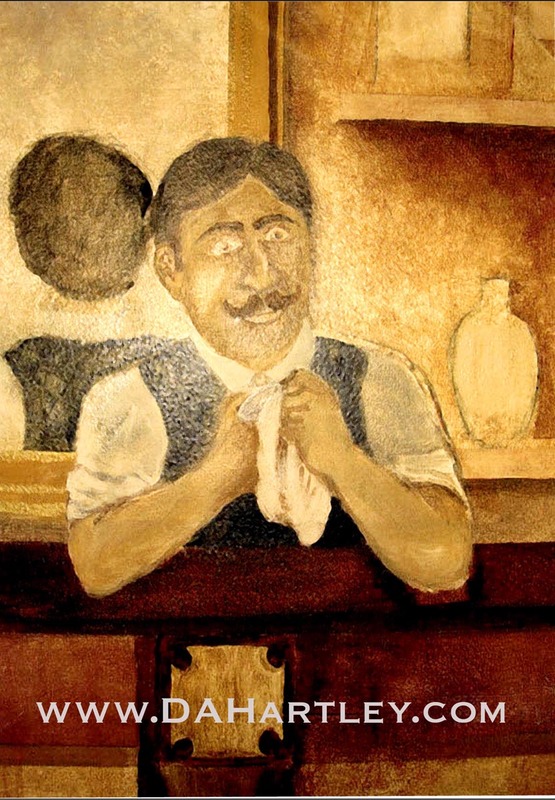 Painted in a kitchen, the owners wanted the look of a street in Paris, with cafes and shops. 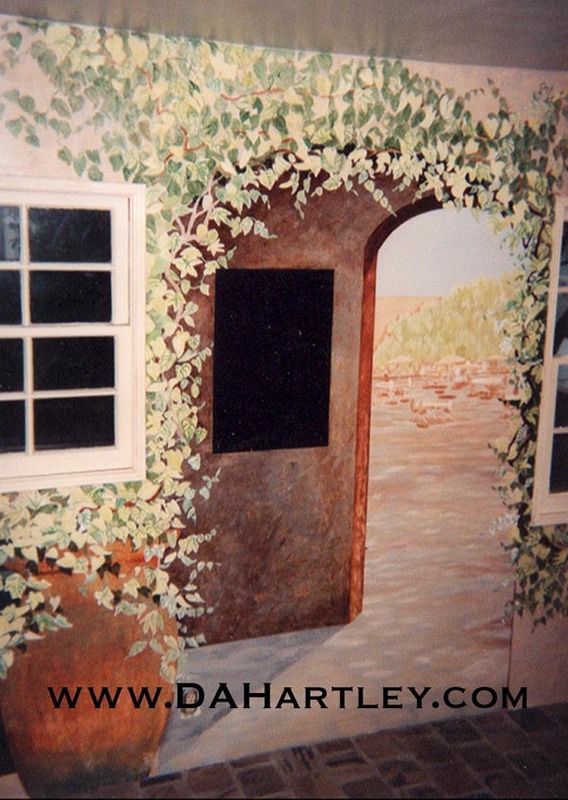 They installed cobblestone floors, and small awnings over the windows. 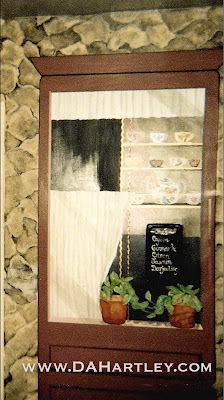 Chalk board paint on the wall, where they wrote their menu for the day! 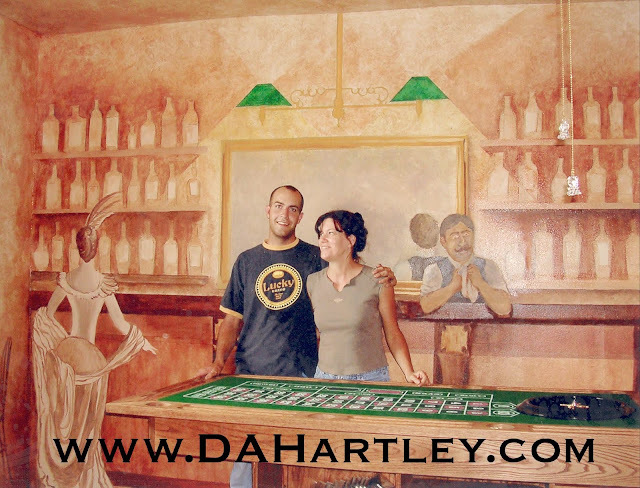 with the artist's Charles Gilbert and Denise Hartley. 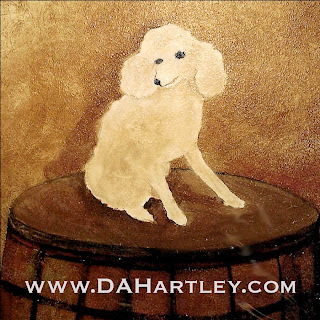 Family Dog Peaches on a pickle barrel.